The path to trying Freedom Foods cereals started with a friend's craft idea that involved "Cheerio"-type cereal. I remember having read about Freedom Foods' "TropicOs" a long time ago and went on the hunt. They were not available at either Whole Foods location, but I was able to find them at another local store - H-E-B Central Market! I did my due diligence, contacting the company to inquire about the various cereals to see which ones my daughter could try. They sent me some coupons and off I went in search of safe cereals! After getting to the cereal aisle and seeing so many options, I actually got a little teary. 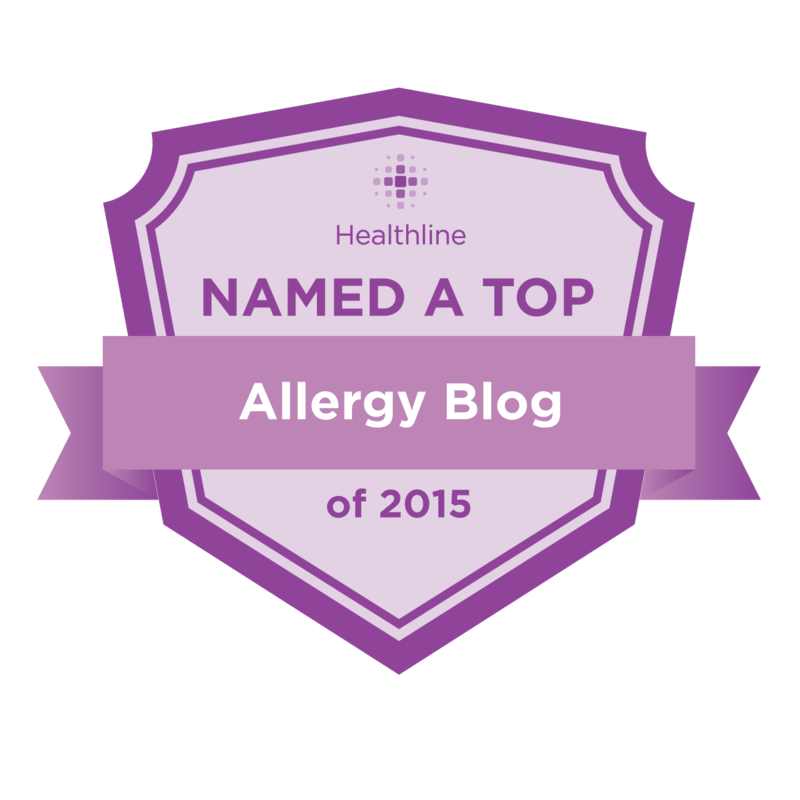 It isn't often that we, parents of multiple food allergic children, are presented with a bevy of options! I couldn't get all the options in frame! I don't think I've ever seen a cereal free from so many different allergens (it's free from more, but they don't fit on the front of the box!) I also love that they use non-GMO ingredients. This company is based in Australia, where the incidence of food allergies is even higher than here in U.S. I wish I could see these products on every grocery shelf in the U.S. They are on the higher-priced end, for cereal, but I feel that it's worth it for the higher-quality ingredients and the fact that they test every batch for certain allergens, every time! They are serious about this stuff, and I appreciate it. They have more varieties, but these are the ones carried locally. 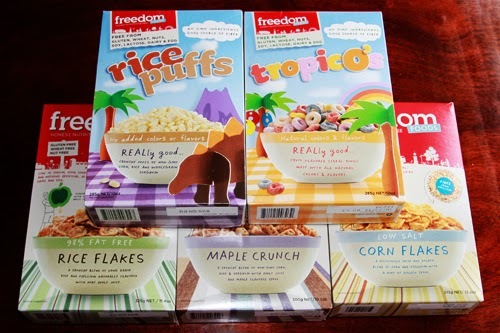 So, if you're looking for an allergy-friendly cereal option, consider checking out the Freedom Foods' line. As always, please be sure to contact them, directly, to check if their products are safe for your child's particular needs. I am just so happy to have another item to add to the "CAN HAVE" list! Note: I received coupons after I asked about cross-contact possibilities, but I did not receive any compensation for this post. All opinions are purely my own, as always!